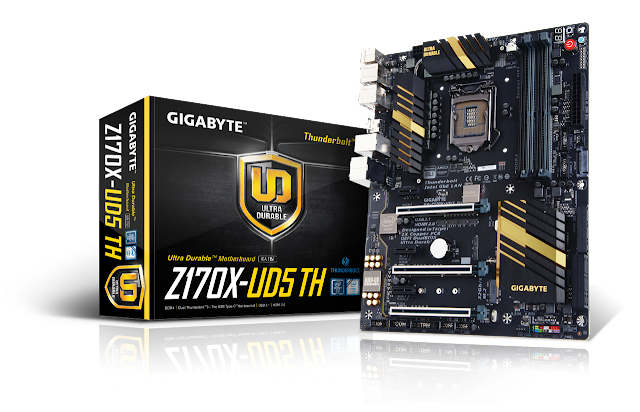 Thunderbolt 3 is one of the most exciting developments in I/O technology to date. 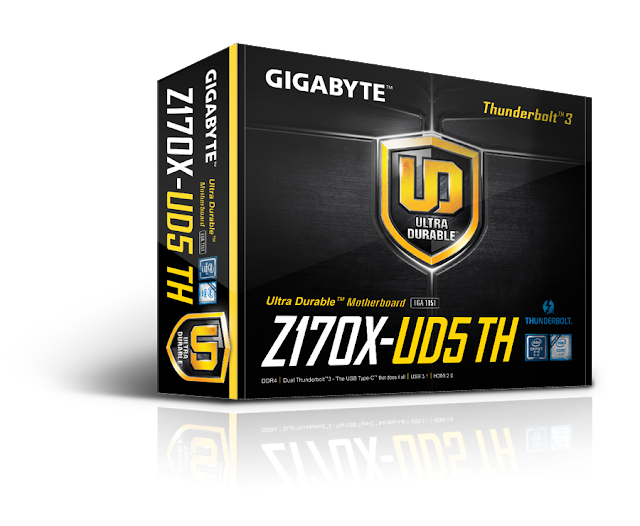 By pushing 40 Gb/s through the wire, Thunderbolt™ 3 provides an unprecedented amount of bandwidth to the end user. But that's not all. With Thunderbolt™ 3 you also get industry-leading features such as DisplayPort 1.2, which is able to drive a 4K resolution display at 60 FPS, power delivery for connected devices at up to 36W, as well as the ability to daisy-chain up to 6 devices per USB Type-C port. Here at GIGABYTE, we recently released the Z170X-UD5 TH which brings Thunderbolt™ 3 connectivity to the Z170X Ultra Durable 5 motherboard. 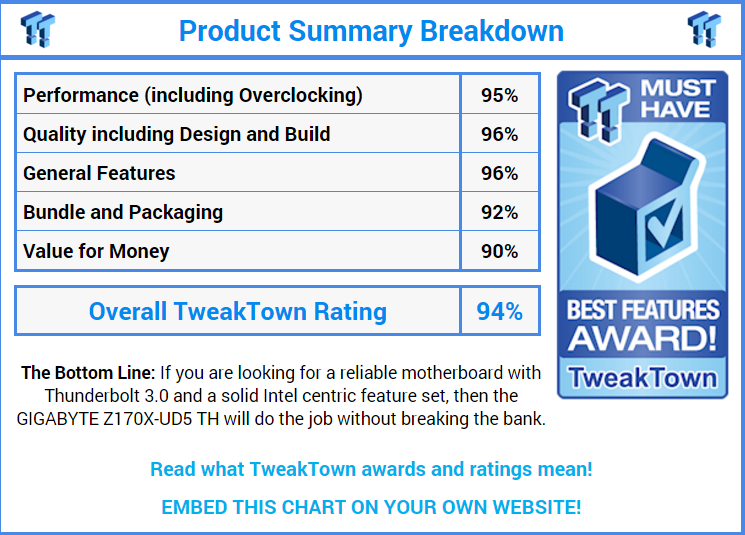 We sent a sample to TweakTown's Steven Bassiri and he was more than impressed with the board! 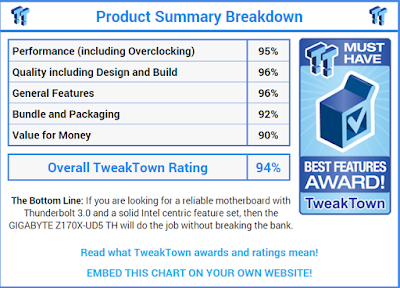 All in all, Steven gave the board a 94% with a Best Features award.